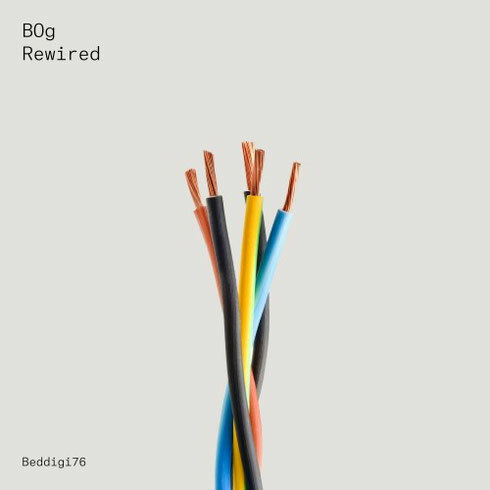 Paris-based, Romanian electronic music composer and DJ, BOg, returns to John Digweed’s Bedrock label for his first release of 2016. Having been deeply passionate about music since childhood, BOg has risen to his current prominence through releases on the likes of Crosstown Rebels and Alex Niggemann’s Soulfooled label, in addition to Bedrock. Some of 2015’s musical highlights for some were his original track ‘Ava’ and his remix of the Bedrock track ‘Emerald’ on the ‘Re_Structured’ album, along with a nine-minutes of ‘Rakuten’ on ‘Underground Sound Of Ibiza 2’. Now, with ‘Rewired’, BOg is aiming to raise the creative bar even higher, with three new tracks showcasing his creative talent. The melody-rich title track showcases what the young Romanian is capable of, with its dreamy, subtle anthemic attitude. ‘The Other Side Of The River’ takes a slightly deeper melodic route, but the end result is no less enthralling. Finally, with the hypnotic, filmic ambient electronica of ‘Heartless City’, he highlights his ability to also create stylish excursions that aim to go beyond the dancefloor. It’s out now on Bedrock Records, check it out below.